I took a day off of work to fish with a buddy who I haven’t seen in a while. We made plans to get on the water early hoping that the fish would bite right off. When we arrived at the launch it was 32 degrees and still dark. We couldn’t see more than a few feet because of the fog. We were forced to wait for a bit of daylight to come so we could see what we were working with. The launch is very narrow through some posts so you have to be spot on to hit it right. To top it all off the water was down a few feet from what was predicted! After battling through the fog for a few miles, we were finally at our first spot. After a quick explanation of how to fish, set the hook, and read the current, we made our first drops. 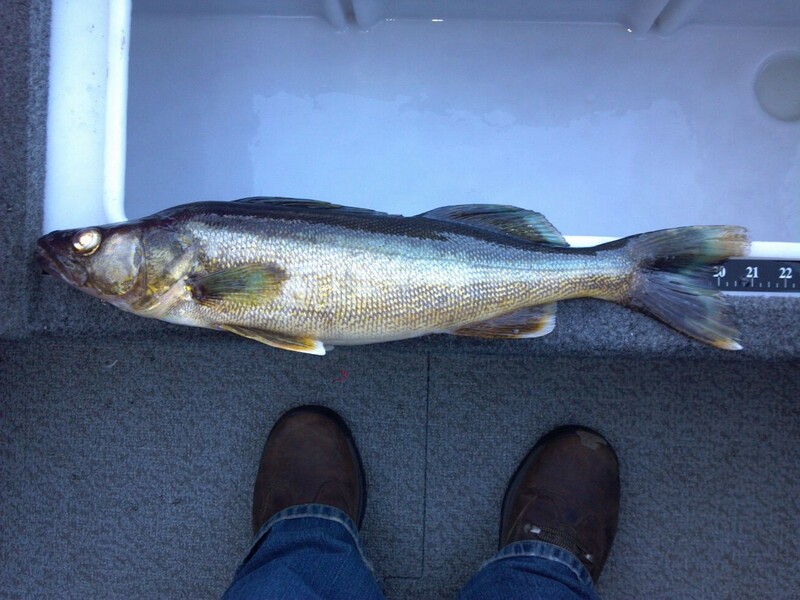 On the third drop of the day, my buddy hooked into his first ever walleye and the biggest of the trip! 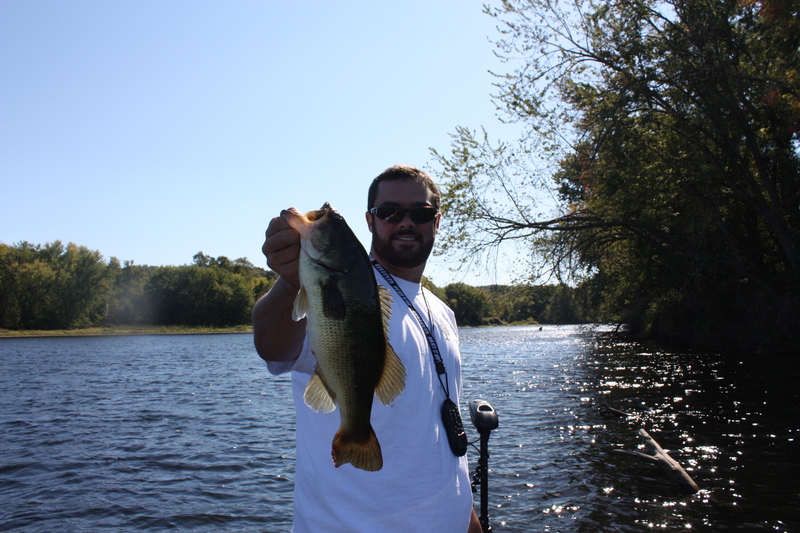 With a quick learning curve in progress, we worked several areas over fairly well before realizing the fishing was poor. 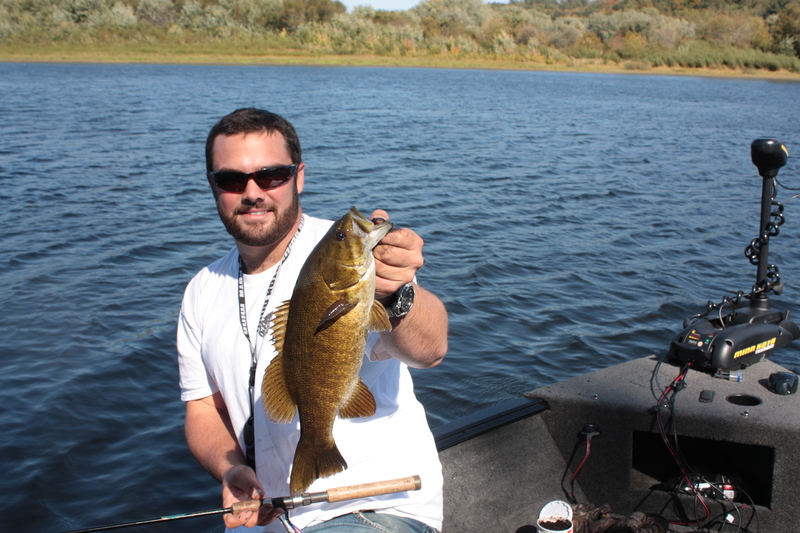 We caught several walleye, a few rockbass, some perch, and a lonely bass. With our hopes of a good day on the water diminishing to just enjoying the nice weather, we moved into some calm water looking for some panfish. 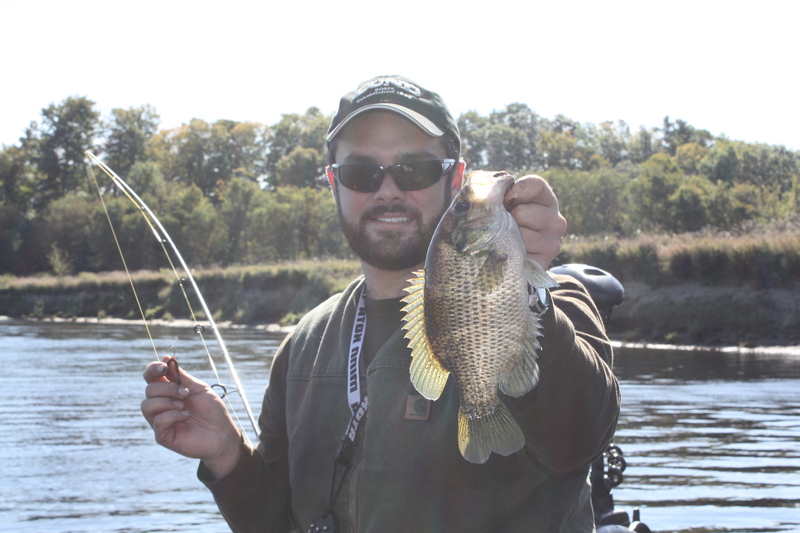 The calm water didn’t produce too well other than some pumpkinseed and perch. After spending an hour beating the shore and some structure we called panfishing quits and headed back our for some larger fish. Unfortunately, they were still not there. We worked thick cover and bottom bounced the deep holes that fish usually hold up in. We decided to fish only three more spots before heading home. The first spot was a dud but we decided to work the second spot a bit different than normal. We fished shallower water working towards the deep. To our delight, the shallow water produced a variety of fish! 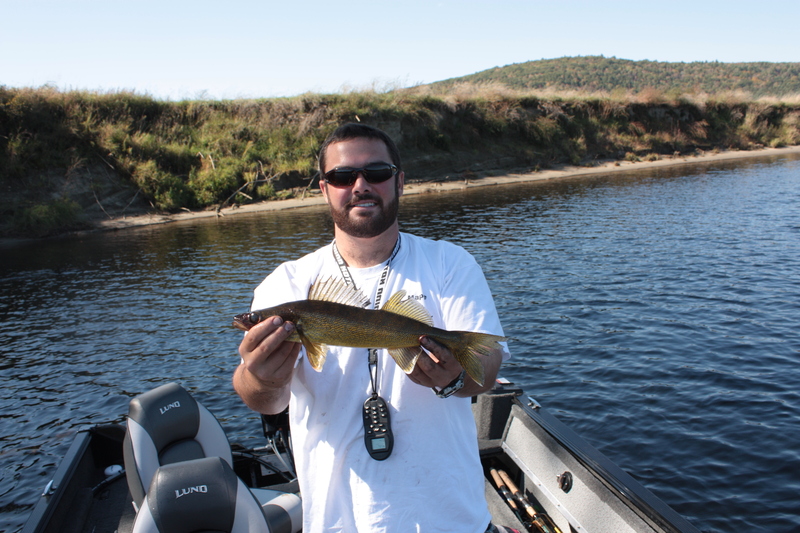 We caught pike, smallmouth bass, largemouth bass, perch, rockbass, and walleye. All in the same vicinity and back to back. After the success at this location, we decided to call it quits and get home before all the daylight was gone. We tried every single color in the jig box but caught the majority of our fish on orange and white. I don’t think color mattered we just had to find fish in order to catch them!